I have a confession. I’m a Mac user. 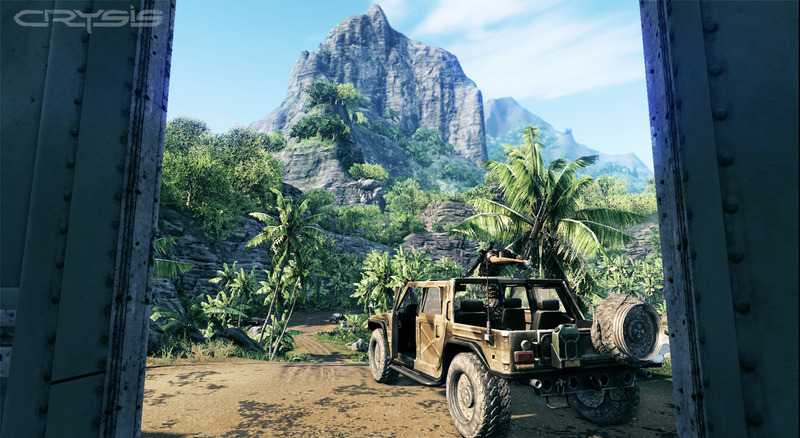 That has very little to do with Crysis, but it does mean that when the gorgeous, PC-only shooter first arrived in 2007, I was severely ill-equipped to experience its visual splendor. Not only was I not in the same ballpark, I wasn’t even in the right zip code. This veritable feast for the eyes was so resource-hungry that there were plenty of Windows users whose systems couldn’t quite cut the mustard either when it came to running it at a desirable quality and framerate. 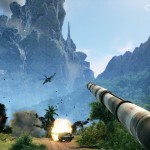 Thankfully, Crytek has seen fit to come to our rescue. No longer will you have to live in fear, worrying that you may find yourself in an awkward conversation, forced to sheepishly admit that you’ve never played Crysis because your computer couldn’t hang with those other, more powerful PCs. Yes, ladies and gentlemen, Crysis has arrived on consoles. I may have overdone it with the hyperbole in my introduction, so let’s temper the excitement a bit and examine what’s missing in this consolized Crysis. Multiplayer is nowhere to be found in this package, but quite frankly, I don’t think it really needs it. 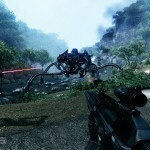 Crysis 2 was just released earlier this year and has already received two map pack additions. If you want multiplayer, you’d probably be better served by just playing the newer game anyway (however, a Crysis 2 map pack comprised of Crysis 1 maps would have been a nice touch). Also absent from the console version is the VTOL-flying level, ‘Ascension’. Most likely cut either due to technical limitations or because players of the original didn’t think too highly of it, I don’t feel like the experience has been significantly hampered by it’s absence. Finally, you can’t really classify this as “missing”, but it would have been nice to see the game’s follow-up expansion, Crysis: Warhead, included in this re-release. Perhaps if this version sells well, we’ll see a console-friendly version of Warhead in the future. In short, if you’re a Crysis newcomer, you most certainly will not miss any of these omissions, but if you’ve already enjoyed the original on the PC, then this rendition is not meant for you. 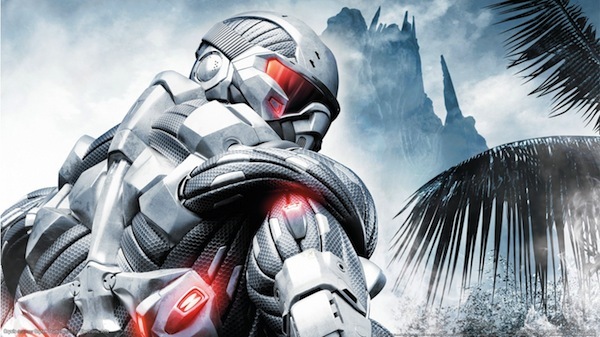 For the uninitiated, Crysis is a science fiction-themed, first-person shooter that casts players in the role of a super suit-wearing super-soldier who goes by the name “Nomad”. He and the rest of his special-ops team are tasked with infiltrating a lush, tropical island and rescuing a group of archaeologists who claim to have discovered something world-changing buried there. North Korean military forces have overtaken the island and taken the civilians hostage, further complicating matters, but also creating the main point of conflict for the protagonist. It sounds silly to say that I want to avoid spoilers, considering the fact that Crysis was released so long ago, but the entire reason this new version exists is to provide new players a chance to experience the game for the first time. With that in mind, lets just say that a bad situation is further complicated by what the archaeologists have uncovered. It’s not the most high-minded sci-fi tale, but it works well enough as a means to move the player between combat scenarios. 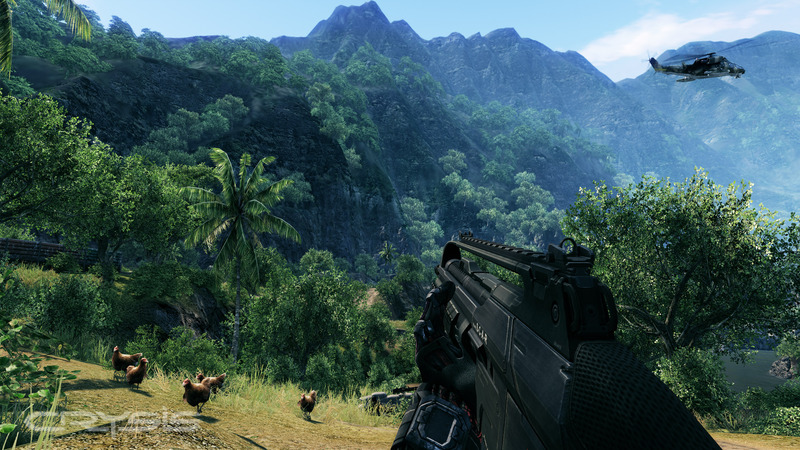 Setting aside the inevitable PC-versus-console arguments, Crysis is a damn good-looking game. I don’t know all the technical ins and outs, but the wizards at Crytek have managed to make a 4-year-old game look fantastic on consoles, even by this year’s standards. 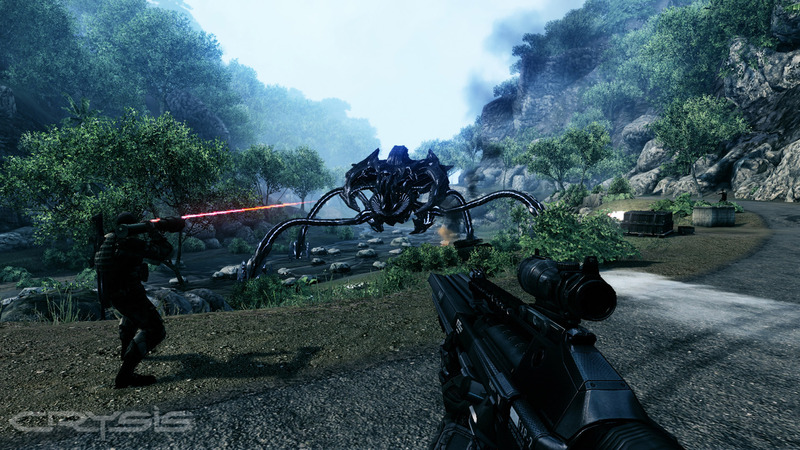 In short, the console version of Crysis was built using a newer, more efficient version of CryEngine and that allowed them to achieve visuals that run well and look great. In fact, I don’t think it’d be a stretch to state that Crysis is the best-looking downloadable console game to date (excluding those traditional retail releases which have been available both on disc and as a download). So, now that the long-standing question of “Can it run Crysis?” can finally be answered in the affirmative when referring to the consoles, the more pertinent question at hand is, “Is Crysis even fun?”. Absolutely. The handful of abilities bestowed upon the player by Nomad’s nanosuit make for varied and satisfying skirmishes. Turn on cloaking, approach situations methodically, and pick off your opposition one by one or just power up your shield and go nuts with your assault rifle. A high jump and power sprint also provide enhanced mobility for getting around (or away from) your enemies. 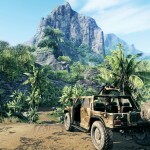 Crytek has done a phenomenal job of making you feel empowered, but not over-powered. An energy meter governs the nanosuit’s powers, depleting and recharging as you activate and disable suit modes. This ongoing ebb and flow forces you to think more strategically in the midst of the action and elevates the game’s combat past that of the typical run-and-gun shooter. Occasional vehicle sequences divide one battle from the next and also help to mix things up a bit. 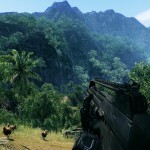 I can’t help but be impressed by Crysis. Impressed that it looks so good today, four years after its initial release. Impressed that the nanosuit abilities provide such a rewarding and dynamic combat experience. Impressed that Crytek actually even bothered to go back and rebuild the game in their new engine so that console owners could play it. All told, its a very good game, just shy of reaching greatness. The scant $20 price tag sure doesn’t hurt either. 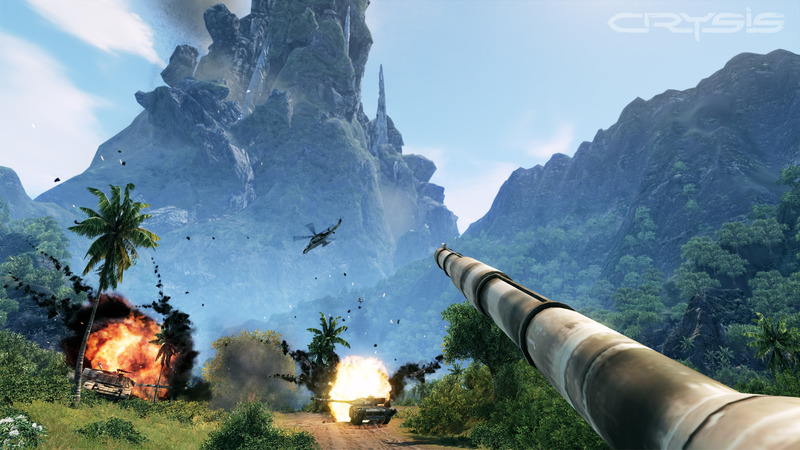 Crysis was purchased for review by Matt Kernan. Completed the campaign on the Playstation 3 version in approximately 7 hours. For more info on how VGH approaches game reviews, please read our reviews philosophy. At least it is not overly expensive. Although it would have been good if it came packaged with Crysis 2.